Our chapter began in 2000 by Dean Provence. As a realtor, Dean understood the value of building a team of like-minded professionals interested in business growth. Since inception, LeTip of Carmel has flourished providing thousands of leads, generating over 4 million dollars in revenue for members. What we like to call “Dollars in Your Pocket”. 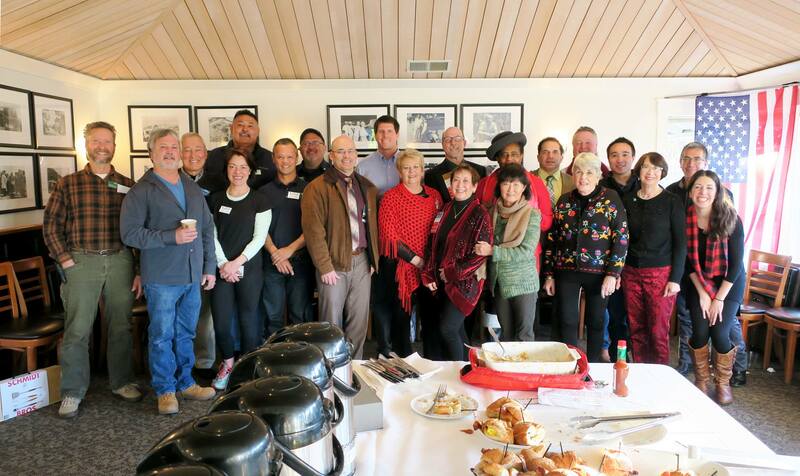 LeTip of Carmel is the only LeTip Chapter in Monterey County. We meet at Il Fornaio inside the Pine Inn every Tuesday, however, our members are from all over the county. We enjoy a diverse membership. As long as there is an open category, you service the Peninsula, and are willing to be in Carmel by 7:00 am, we will consider you for membership. Loyalty and attendance are key to our success.